I first met Robert Presley whilst working as Stage Manager for New Sussex Opera’s production of Falstaff in April 2004. Robert was playing Ford. He had very recently moved to the UK from the USA, having been a member of the chorus at San Francisco Opera for some years. I remember his vibrancy and charisma both on and off stage. He immediately became someone I would never forget. He could seem, until you got to know him better, somewhat prickly, but he was soft-hearted and very warm underneath. A mutual colleague described him as being “like a Ferrero Rocher”: hard and brittle on the outside, but soft and chewy underneath. He just didn’t want you to know this. Born on 6th May 1957 in the Gulf Coast of Alabama, he studied at the University of Southern Mississippi and Kent State University of Ohio. His first taste of the operatic life was as Betto di Signa in Puccini’s Gianni Schicchi for Mississippi Opera at the age of nineteen. He appeared with several companies in the USA in many roles including title role Rigoletto, Germont La Traviata, Conte di Luna Il Trovatore, Miller Luisa Miller, Iago Otello, Figaro and Bartolo The Barber of Seville, Magnifico La Cenerentola, Enrico Lucia di Lammermoor, Ko-ko The Mikado, Ezio Attila, Silvio Pagliacci, the title role in John Phillip Sousa’s El Capitan, and he created the role of the Grandfather in American composer Carla Lucero’s opera Wuarnos. He worked with San Francisco Opera’s education/outreach programme and initiated a similar programme with the Nevada Opera in Reno. He performed in concerts in England, Italy, Lebanon, the USA, and the Larnaca International Music Festival in Cyprus. He covered the role of Rigoletto for Castleward Opera of Belfast in 2004, and that year made his acclaimed UK opera debut as Ford Falstaff with New Sussex Opera. He then toured England and Wales with Garden Opera in 2005 as Magnifico La Cenerentola, and sang with that company on its third annual tour to Kenya in March 2006. He then made his debut at the Queen Elizabeth Hall as soloist in Beethoven’s 9th Symphony that same year, and sang the role of Ashmodeus in New Sussex Opera’s production of Jonathan Dove’s Tobias and the Angel. Robert returned to Castleward Opera in June 2007 for several operatic concerts, one of which was recorded for broadcast by BBC Radio Ulster. 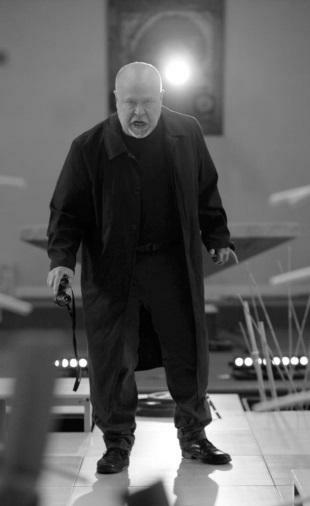 In 2008 he sang the Voice of Neptune Idomeneo for New Sussex Opera, Germont La Traviata for Longborough Festival Opera, Sharpless Madama Butterfly for Opera Brava, and Ford Falstaff for Opera Project. 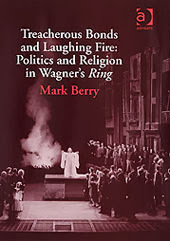 Other engagements included the role of Beckmesser in a concert performance of Die Meistersinger von Nürnberg, (Act III), for The Wagner Society; the Beethoven 9th Symphony for Liverpool’s Cornerstone Music Festival; and Germont La Traviata for Riverside Opera, a role he repeated for Opéra de Baugé in July/August 2009. Later he sang the title role in Macbeth for English Opera Singers, and Don Alfonso Così fan tutte for English Chamber Opera. In the summer of 2010 he returned to Baugé for the title role in Rigoletto, where he met Ben Woodward, Fulham Opera’s Artistic and Musical Director. 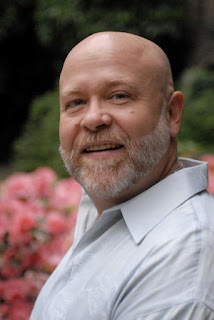 Robert then went on to sing Amonasro Aida for Riverside Opera in March 2011, and Tonio Pagliacci and Germont La Traviata for Garden Opera. Later that year he sang his first Alberich in Das Rheingold with the newly-formed Fulham Opera, which is where I caught up with him again. He then returned to New Sussex Opera for Ramon in Gounod’s rarity Mireille at London’s Cadogan Hall. Last year he sang the title role in Gianni Schicchi and Scarpia Tosca for Fulham Opera, as well as co-directing Fulham Opera’s Die Walküre, and Bartolo in Barber of Seville with The Opera Project. Robert was to have sung Alberich throughout Fulham Opera’s on-going Der Ring des Nibelungen during 2013/14, and he was due to cover the Siegfried Alberich at Longborough this summer, as well as appearing with me as a Vassal in Götterdämmerung. His last performances for Fulham Opera were as Alberich in Siegfried which were critically acclaimed in the April 2013 issue of Wagner News. Ben Woodward (Artistic Director at Fulham Opera) always said that the initial idea to do Das Rheingold was Robert’s. I rather feel it was both of them! Whose idea it was doesn’t matter; I for one am very grateful that they both cast me to be their Wotan. A few days before his death we had a board meeting to discuss the way forward for Fulham Opera. He was full of life, and he wanted to organise a concert to celebrate the other operatic bicentennial this year, for Verdi .He had produced a similar concert in the USA called “Verdiana”, and with witty narration a là Anna Russell between items, wanted Fulham Opera to “go completely to pieces” in September in celebration. Indeed we shall, as a special tribute to him. I shall be forever grateful for his support and encouragement of me as Wotan at Fulham Opera. We always had fun during rehearsals, and his love and knowledge of Wagner, Verdi and of course Anna Russell brightened our days immensely. I know that everyone who met and worked with Robert will miss him tremendously, but I think that he will be smiling, looking down on us as we “all go completely to pieces” at his sudden and untimely passing. I, for one, will always remember Alberich! A shorter version of this tribute will appear in the July edition of “Wagner News"